KAMPALA– Opposition leader Dr Kizza Besigye has said the Attorney General does not have the capacity to investigate Foreign Affairs minister Sam Kutesa over his alleged role in the $500,000 (Shs1.9 billion) bribery case in the US. Dr Besigye instead suggested that the case should be handled by police’s Criminal Investigations Department (CID) headed by Grace Akullo. A US court last Tuesday convicted Patrick Chi-Ping Ho, the former Hong Kong Home Affairs Secretary for allegedly giving bribe of Shs1.9 billion to Mr Kutesa, allegedly on behalf of President Museveni in 2016 in order to get business favours in Uganda. And on Monday, shortly after launching his anti-corruption unit in Kampala, Mr Museveni said the Attorney General will investigate the matter. But Dr Besigye poured scorn on the whole process, saying there is no way a minister will investigate a colleague. “The problem we have in Uganda is poor leadership; imagine Mr Museveni asking a minister to investigate a colleague Minister Mr Sam Kutesa over bribery instead of directing the criminal investigations department of the police to investigate him. There will be no fairness in the investigations,” he said at the burial of Cellinah Bamusiime Murumba in Bwegyerere Village, Rubanda Town Council in Rubanda District, Kigezi region on Wednesday. “Our country is not poor but poor leadership is a big problem. During a press conference in Kampala recently, a journalist asked Mr Museveni about Mr Kutesa being implicated bribery case but feared to tell him that his portrait was also paraded in the same court marked as an exhibit of the person that received the money. 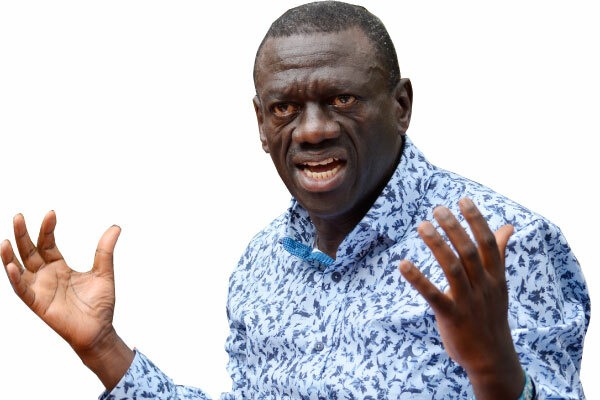 Everybody in government was keeping quiet about the USA court ruling that implicated Mr Kutesa in the bribery case until a journalist raised it,” Dr Besigye said. He urged Ugandans to eat all the money government delivers during elections but vote for development like what the people of Rukungiri did during May by-election for the district Woman Member of Parliament. He revealed that as FDC party they have resolved to always plant fruit trees at the burial of their departed colleagues because they will be permanent instead of buying expensive flowers that wither immediately.